Microbiologists continue to face unprecedented challenges. They are confronted with unexpected epidemics, caused by new or changing micro-organisms, while at the same time more familiar infectious diseases require attention. The identification of pathogens and characterization of pathogen-host interplay are our primary tasks. 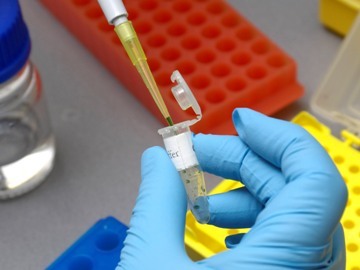 Technological innovations continue to offer new possibilities in diagnostics and the development of vaccines and drugs, especially when basic research can connect to clinical practice. The basic and clinical research of the LUMC Department of Medical Microbiology is organized in a bacteriological and a virological research programme. Our activities are embedded in the LUMC Center of Infectious Diseases and the medical research profile Immunity, Infection and Tolerance. The LUMC is partner of the Netherlands Center for One Health (NCOH). The department of Medical Microbiology participates in the strategic research themes 'Tackling Antimicrobial resistance' and 'Emerging Infectious Diseases Preparedness'.